You are a monarch, ruler of a newly founded kingdom responsible for decisions regarding every aspect of its existence. As a leader you’re going to assign your people to professions, raise epic structures, discover new advancements, cast powerful spells and wage war with your enemies. 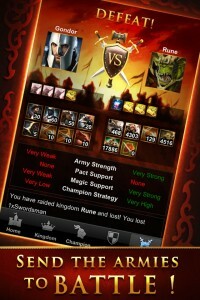 The game offers you in-game chat and mail, trade, military, various pacts and other forms of player interaction. Give it a try if you’re looking for a challenging social game that rewards your strategic planning more than the amount of friends you have in your “army”. 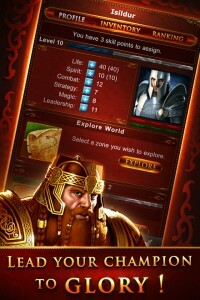 Dragon Lords available now on iOS devices! 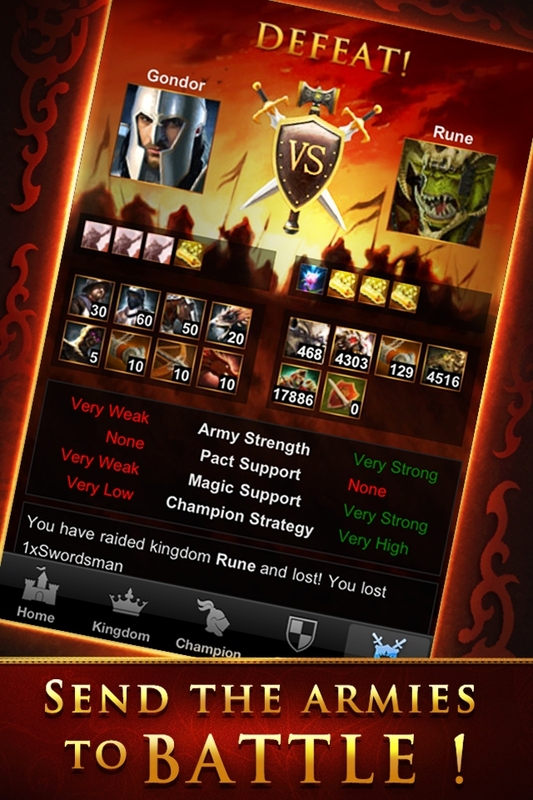 Dragon Lords available now on Android devices! Dragon Lords offers a fine mixture of strategy and role playing while you can explore new zones with your Champion, as well you are leading your whole kingdom to glory by managing resources, raising armies, supervising new technological developments and improving the infrastructure. While your champion will act as the leader and the general of your ever-growing army it will be up to you what magical spells or which kingdom you wish to invade at the certain time. Along your journey your Champion will discover ancient artefacts that will aid your kingdom on the mission for power a glory. The world of Dragon Lords introduces powerful magic system where you can choose to cast spells either to aid your own land and allies or hinder the ones who do not deserve your grace. As your kingdom will grow in population, army and resources it will be up to you with whom from our vibrant world you will choose to pact or cross ways in a long and exhausting wars. Therefore we welcome you to the world of Dragon Lords where you can choose one out of six available races to populate your freshly established empire. From Elves, Dwarves, Orcs, Undead through Dark Elves each and one of them offers specific advantages and disadvantages to your kingdom. As a small independent studio we are very proud of our constantly active and vibrant community of players that offer an unique experience of forming alliances and being involved in diplomatic disputes with others. The world of Dragon Lords is constantly evolving by being blessed with new units, buildings, spells and even game modes as the our realm is looking to expand it’s game play furthermore. We are brought to you by passion for the fantasy genre and we will never give up on developing, improving and satisfying our growing fan base. Although Dragon Lords may not run the newest and flashiest graphics engine we still took great care in designing colourful and mesmerizing images to make the gaming experience simple and intuitive yet stimulating and enjoyable for any fantasy fan out there. ps. Please bare in mind Dragon Lords requires internet connection to play the game.